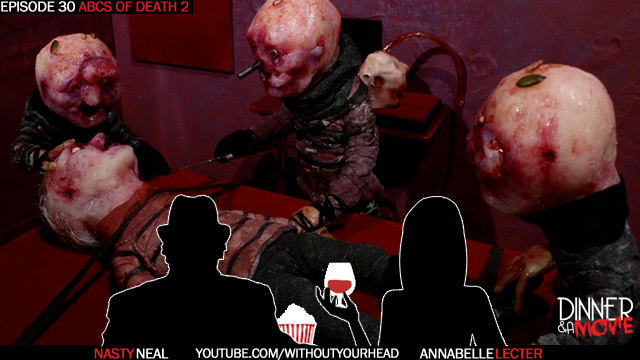 Neal Jones and Annabelle Lecter see ABCs of Death part 2 and progressively get more drunk! IMDB: Another 26-chapter anthology that showcases death in all its vicious wonder and brutal beauty. "Founded over 40 years ago, our family-friendly, multi-level restaurant / bar is proud to offer a broad range of high-quality, cooked-to-order food and beverages at affordable prices." "The Brattle shows the best in classic, cutting-edge, foreign, and art-house films. We also show first-run films and new releases of classic films, but our specialty is a repertory programming format consisting of films from a particular director, genre, or subject shown over the course of a week, or on the same weekday throughout the month."